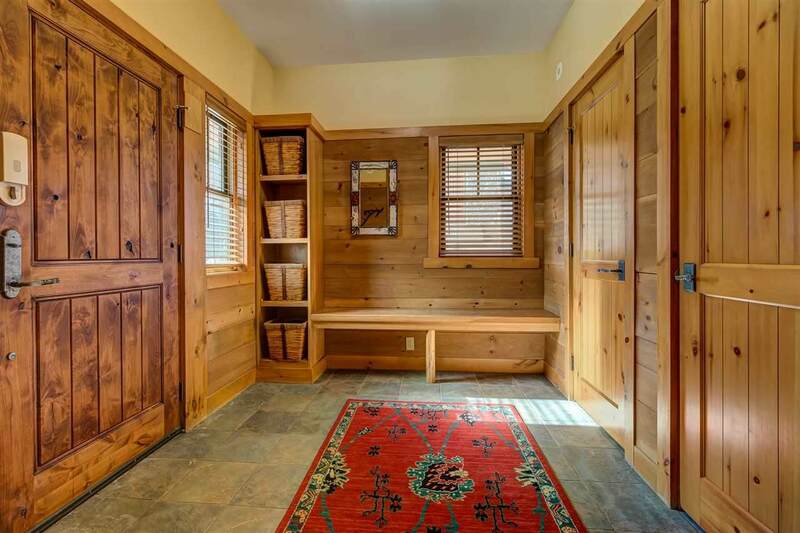 The classic Adirondack style of this Luxury Townhome is both timeless and welcoming. This 4BR/4BA end unit with expanded floor plan includes a family room with gas fireplace which opens to the private patio and hot tub areas. The Living Room features a massive stone fireplace and sweeping long range views which are also enjoyed from the kitchen and dining areas. Many upscale features including professionally decorated, both master and guest bedroom suites with private baths, cathedral ceilings, wainscoting in stairways, oversized mudroom, three covered porches, central air conditioning, alarmed security system, ski storage area plus a one car garage. The Treetop community is among the most recent construction at the Stratton Mountain Resort and is both energy efficient and truly turnkey. 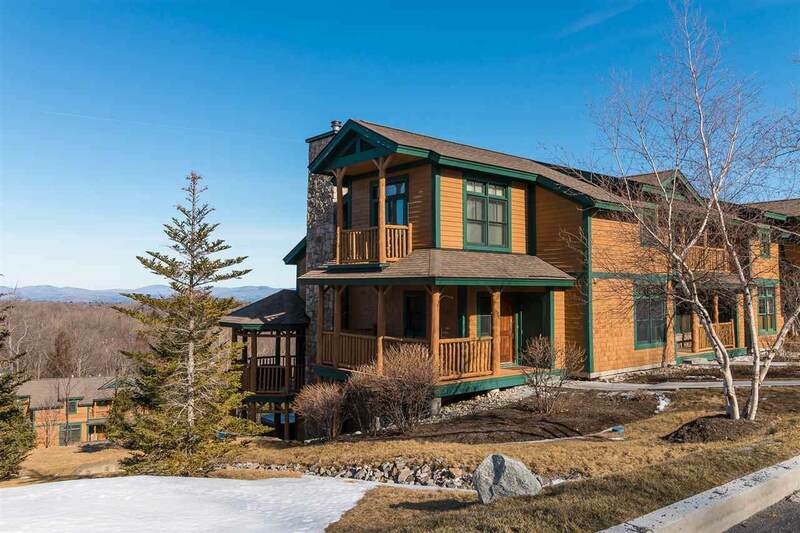 This Beechwood location enjoys a network of trails to ski home, reminiscent of an alpine mountain village. 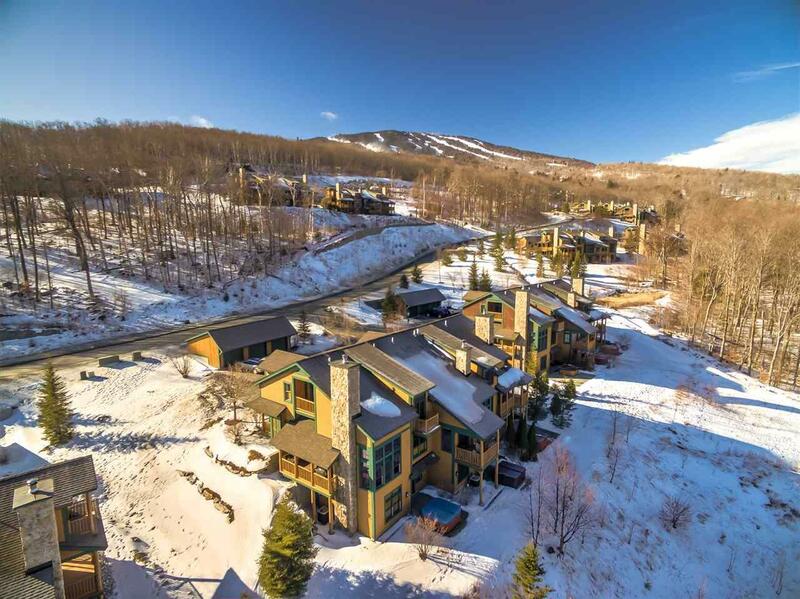 Relax and enjoy the finest in resort living at Stratton Mountain with a full time manager and caretaker on site, shuttle service to the main area and sports center membership available. Courtesy of Karin Hardy of Tpw Real Estate. © Copyright 2019 New England Real Estate Network, Inc. All rights reserved. This information is deemed reliable, but not guaranteed. The data relating to real estate displayed on this Site comes in part from the IDX Program of NEREN. The information being provided is for consumers’ personal, non-commercial use and may not be used for any purpose other than to identify prospective properties consumers may be interested in purchasing. Data last updated 2019-04-25T14:06:09.607. Keller Williams Coastal Realty is Seacoast's most innovative real estate team.